Forget R10,000… Forget R5,000… Now you can invest in your first penny shares with R100! Let's face it, investing has always been something for the richest 2%. That's all because of minimum brokerage costs. Whether you buy R50 or R5,000 of shares your transaction cost will amount to around R100. So only once you buy more than R5,000 worth of shares will the brokerage cost be 2% or less. And then only can you really profit from shares. There's no use in buying R100 worth of shares and paying another R100 in costs. The shares would have to DOUBLE just for you to be break even. Now that’s fine if you’ve got that kind of money just lying around. But if you don’t you miss out on the opportunity of investing on the JSE. You miss out on the opportunity to make money from the massive potential of penny stocks. The one stockbroker that’s changing the way South Africans invest forever! GT247 has recently launched a new investment platform called EasyEquities.co.za and opening an EasyEquities account could change the way you invest forever! You see, EasyEquities doesn’t charge minimum brokerage costs. So whether you buy one share for R2.50, 100 shares for R250 or 2,000 shares for R5,000 you’ll be able to do so without wasting money. In fact, the EasyEquities platform has gone a step further. So there are no minimum costs right? But you also pay the lowest brokerage cost in the industry! That’s right. Standard Bank, Sanlam and PSG offer 0.5% to 0.9% on every trade. With EasyEquities you pay half of that with brokerage at a rock bottom rate of 0.25%! These monthly fees, amount to R600 a year. So just saving on your monthly stockbroking account fees is enough to pay for a Red Hot Penny Shares subscription! So as I said, there are no minimums to investing on the EasyEquities platform. You can buy only a single shares valued at R1 and pay 0.25% brokerage on that. But that’s a bit silly really, if the share you bought doubled you’d only make R1. Or, let’s say you have R500 that you can save each month, that means you can invest R250 in two different shares each month. In less than a year you’d sit with a portfolio valued at R6,000 excluding growth. So, what do you need to do to get started right now? 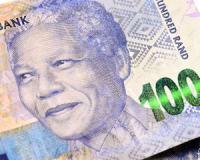 Go to EasyEquities.co.za and click ‘Register’. Then all you need to do is follow the on-screen prompts. Fill in your personal information. And within three minutes you’ll have your share trading account opened! Within minutes you’ll get an email confirming your registration. In this email you’ll see there’s a link to FICA your account. Before you do anything spend the time and get this done quickly. As long as you have a copy of your ID as well as a proof of residence in electronic format you can do this quickly. It’ll still take EasyEquities a couple of days to verify your FICA details. But that’s only a formality. Once you’ve FICA’d your account the only remaining thing you need to do is fund your account, then you can start investing. So, you can do this by EFT or Credit Card. An EFT won’t show on your account immediately but there are no banking costs associated with it. But if you want to start investing immediately you can always use your credit card. The EasyEquities platform is secure, and I used my card safely to fund my account. The only downside is, on R2,000 deposit into your EasyEquities account you’ll pay R47 in transaction costs. On R20,000 your transaction costs will be R460 while with an EFT the transaction will still be free! So try and plan ahead. Transfer your cash via EFT if possible and it’ll save you a lot more money in the end. So now you can start investing. The EasyEquities platform is really easy and intuitive. If you are confused there is a FAQ page with explanations on how to buy and sell shares. How to fund your account and other things you might need to know. The most important thing you need to know though is that EasyEquities is an online platform. It has the lowest costs for any brokerage service in the industry BUT that is only applicable for its online platform. While you can phone a broker at EasyEquities to help you that will rack up additional fees, and you’ll lose the benefit to using EasyEquities. Just to give you an idea, if you were to buy R500 worth of Wescoal shares through Standard Bank Online Share Trading today it would cost you R94.77 in brokerage fees. So your Wescoal shares would need to rise by 18.9% for you to reach break even point. Through Easy Equities the total fees would be a mere R3.12. So the Wescoal share price would need to rise by a mere 0.6% for you to start making money! So there you have it. You’ve got no more excuses now, you NEED to start investing. It’s easier than ever and now also more affordable than ever. Spend the next twenty minutes, open your account, go through the FICA process and make your first EFT deposit and then you can start investing in less than half an hour! So, are you ready to start investing now? Then click here and I'll give you all the details on the five shares set to ROCKET in the next 12 months. Get all the details on these five killer stocks in my new research report, by following this link.